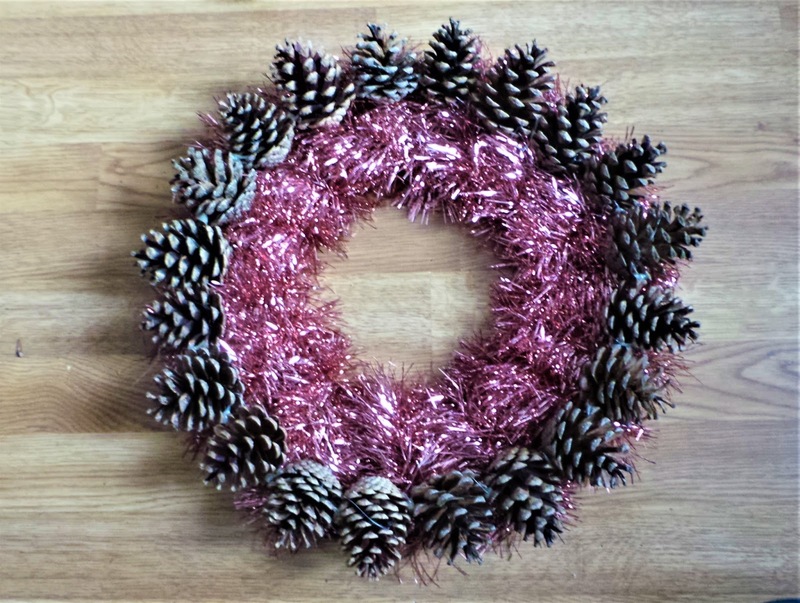 I came out with this wreath design out of necessity more than anything, I needed a quick and simple way of making quite a few wreaths fast and on budget, but also to look beautiful. 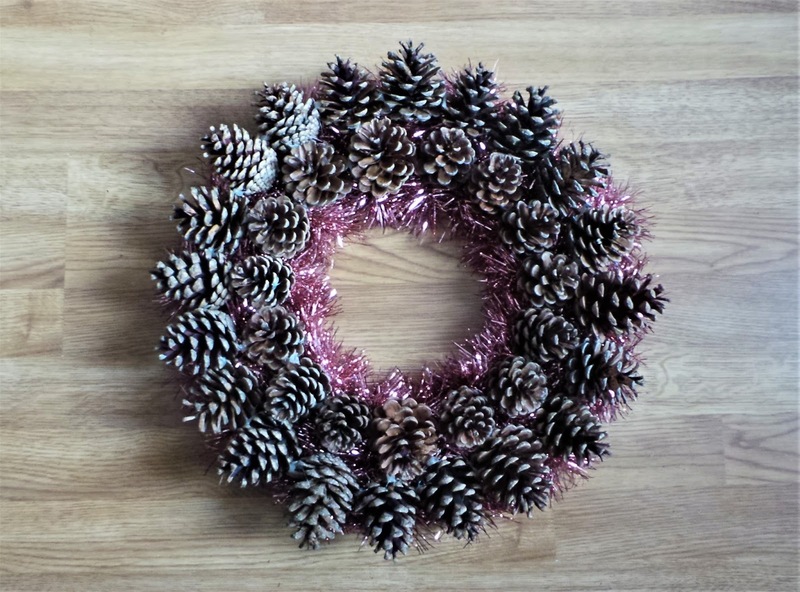 It all started when mr.B brought me a big bag of pine cones one day and I decided to make wreaths out of them as Christmas presents for my close friends, but my budget was really small and could not afford to buy so many wreath frames, my only option was to make my own. Took me some time to figure it out, but finally i decided on hard cardboard for the frame and tinsel to cover it up and make it look more 3D. 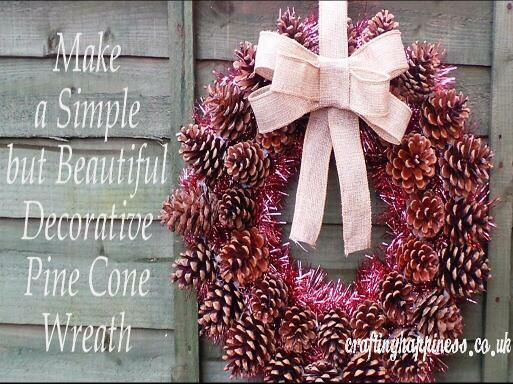 I added a simple bow that was both a decorative accent on the wreath and a way to hang it up on the wall. 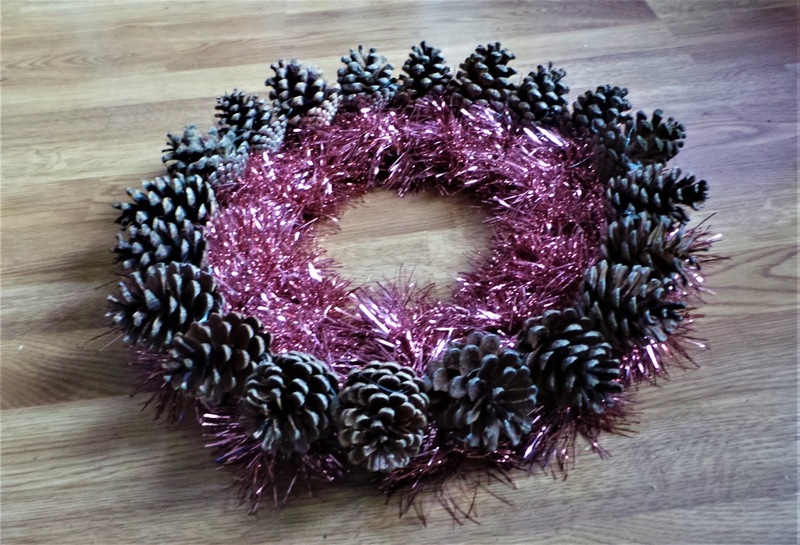 This is how to make the Christmas pine cone wreath. 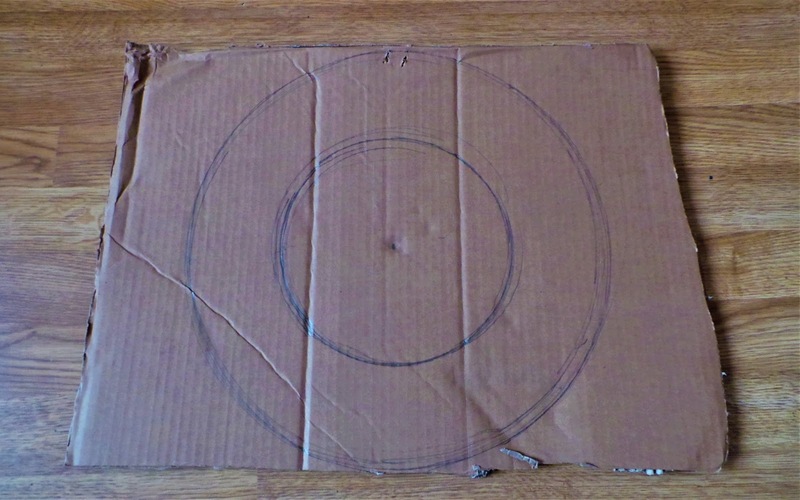 - pen and string to draw the circles, or anything round you can trace circles with like a bowl or a pan etc. - tinsel in the colour of your choice, about 2m long, i had a choice of red and gold, decided on the red one in the end because it felt more festive to me. 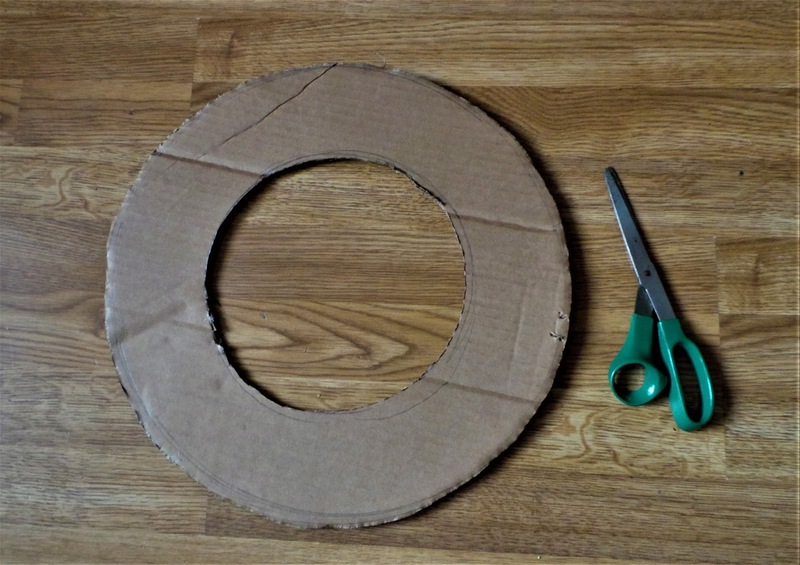 Draw the wreath frame on the cardboard and cut it out. 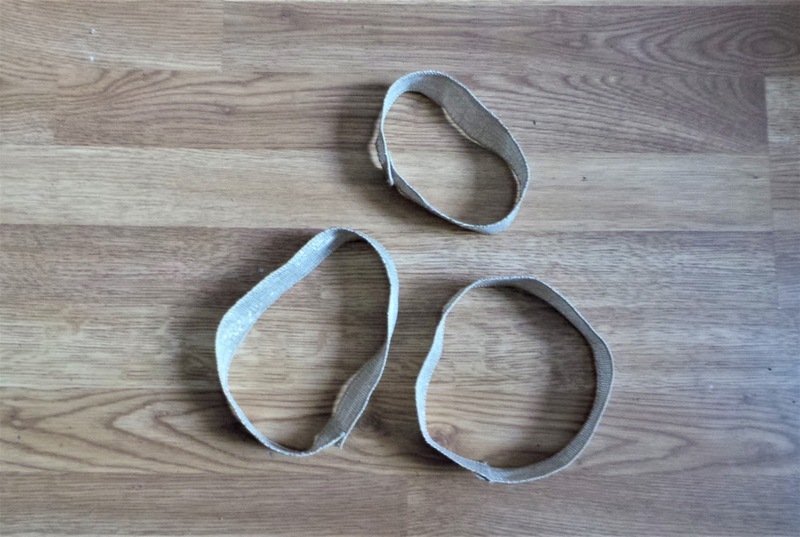 The larger circle is 35cm in diameter, the smaller one is 20cm in diameter. 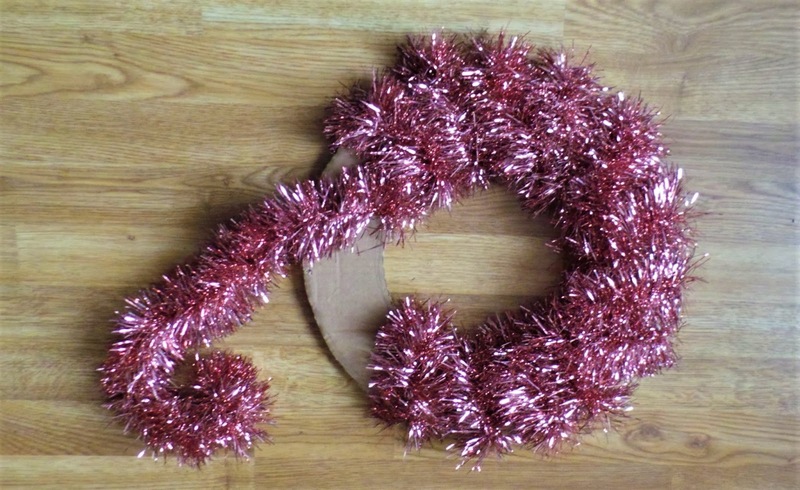 Next, wrap the tinsel around the frame making sure the fringes are covering the cardboard entirely. 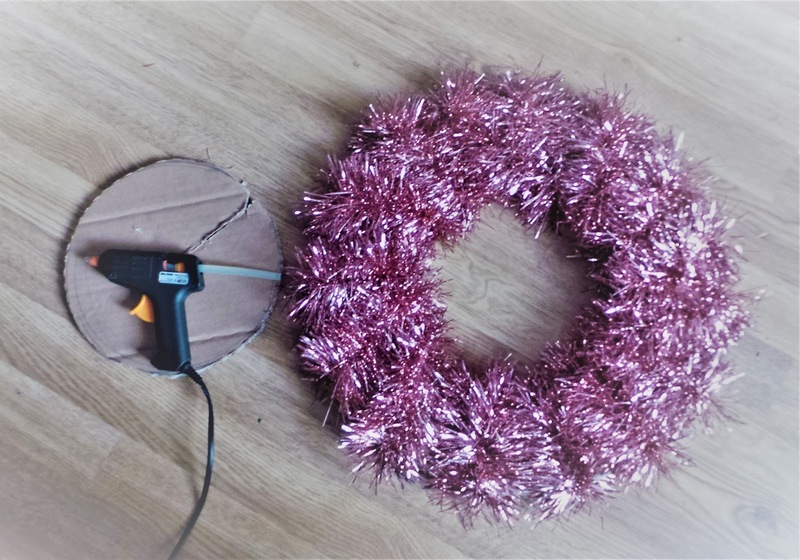 Use the glue gun to glue the ends to the frame . Before you use the cones, it is a good idea to bake them and kill all the critters that might live inside them. It also opens any pine cones that are still closed. Preheat the oven to 200 degrees, line a tray with aluminium foil and bake the pine cones on a single layer for 30 minutes or so. 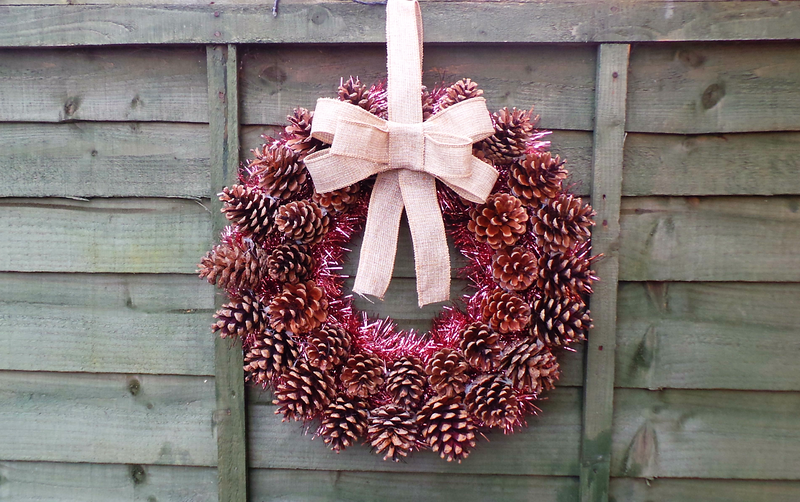 Select medium size pine cones and form the outside row, set them down horizontally on the frame. 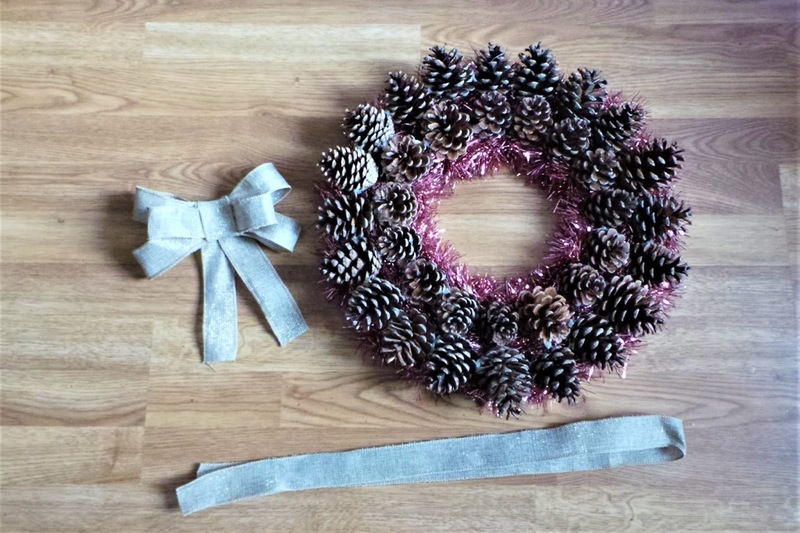 Before gluing them to the tinsel make sure you are happy with the order in which they are arranged. 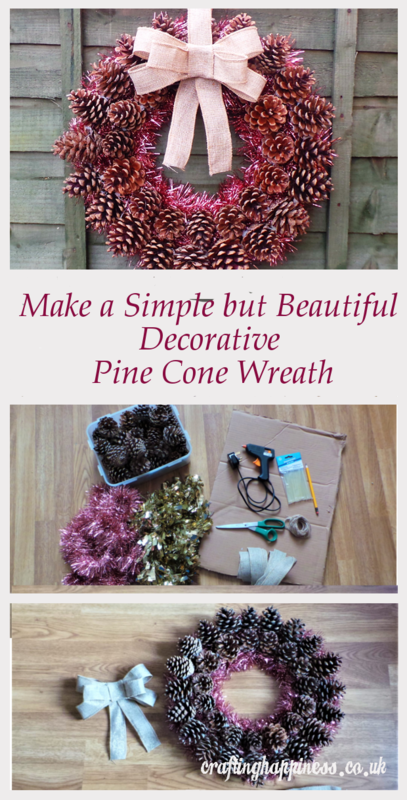 Glue each pine cone to the tinsel and to each other. Do the same for the second row but this time set them down in a vertical position, slightly angled towards the first row. 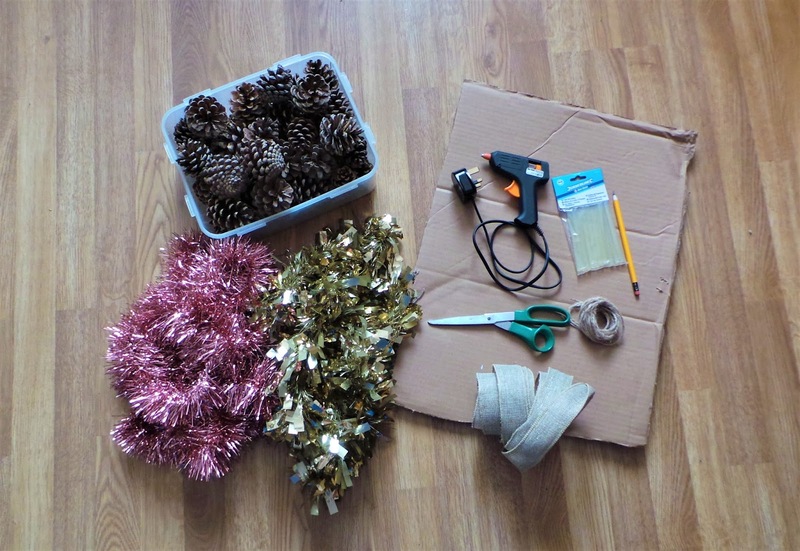 Glue each pine cone in 3 points: the bottom to the tinsel, to the next one on the row and to the one in the first row. 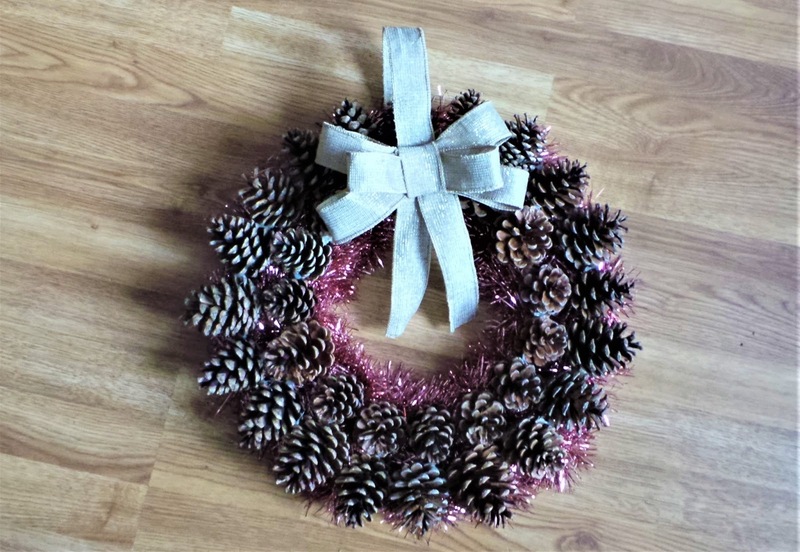 This will make the wreath structurally much stronger than if you'd just glued it to the bottom. 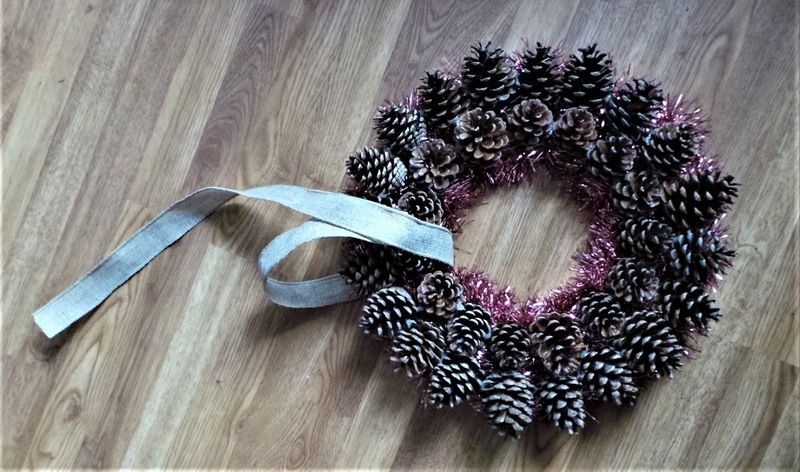 And here it is, all done, you can stop now and use it as a table centrepiece by adding candles or ornaments in the middle, or you can turn it into a wreath by adding a bow to it. 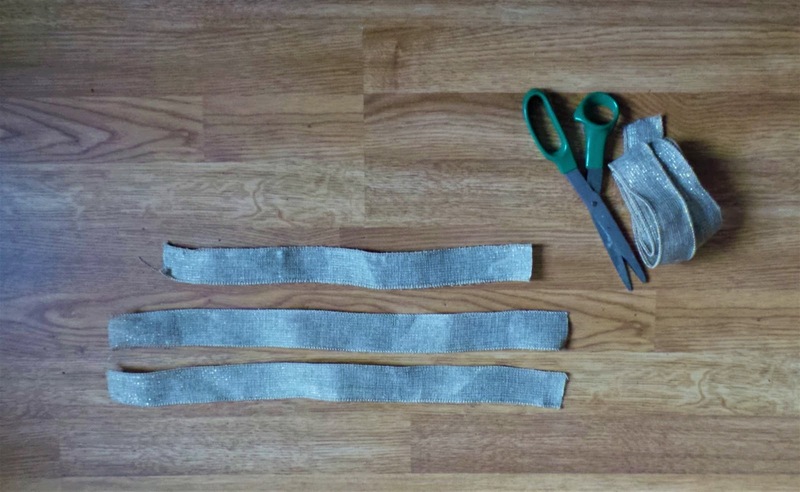 Take one of the 35cm long piece and glue the ends to make a loop. Do the same with the 2 45cm long ones. 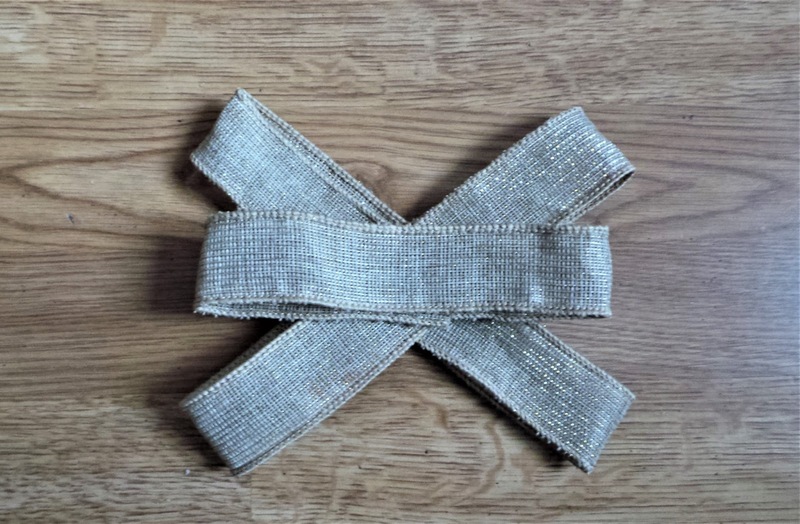 Stack the 3 loops on top of each other as you see in the picture, wrap the 10cm piece around the middle and glue it to the back. 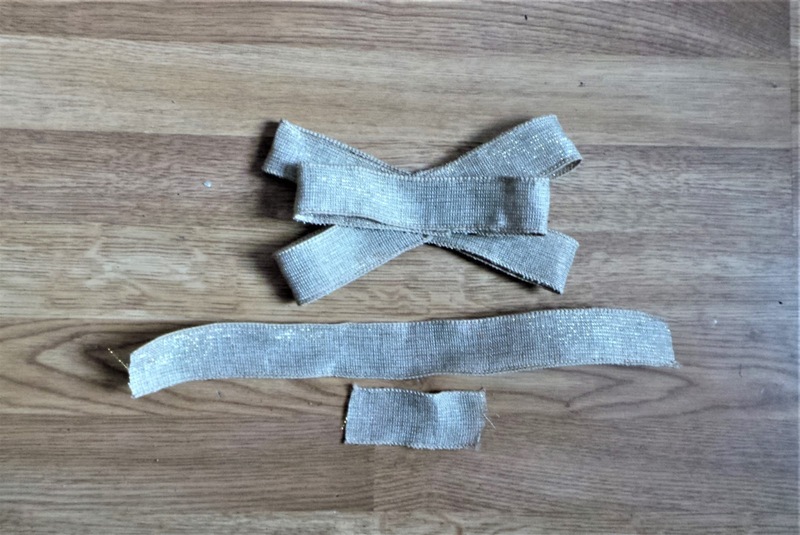 Bend in half the second 35cm long piece and glue it to the back of the bow to complete it. 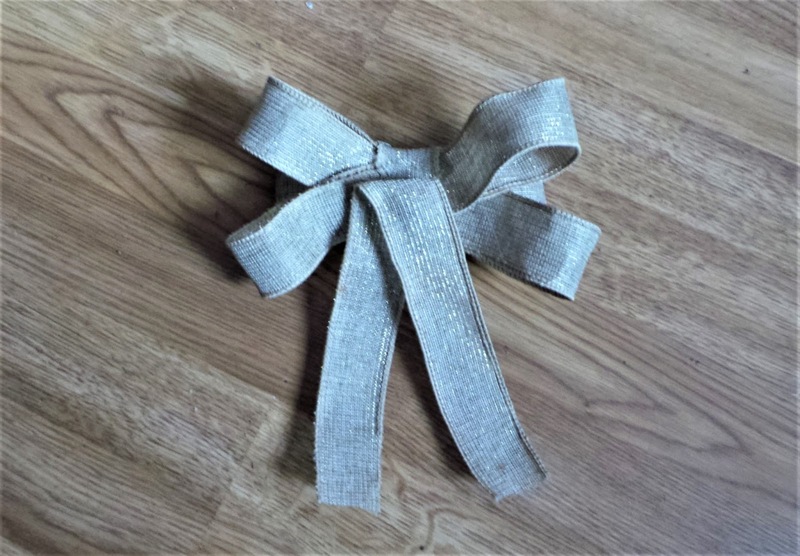 Glue the bow to a longer piece of ribbon and then glue the ribbon around the wreath in a loop. 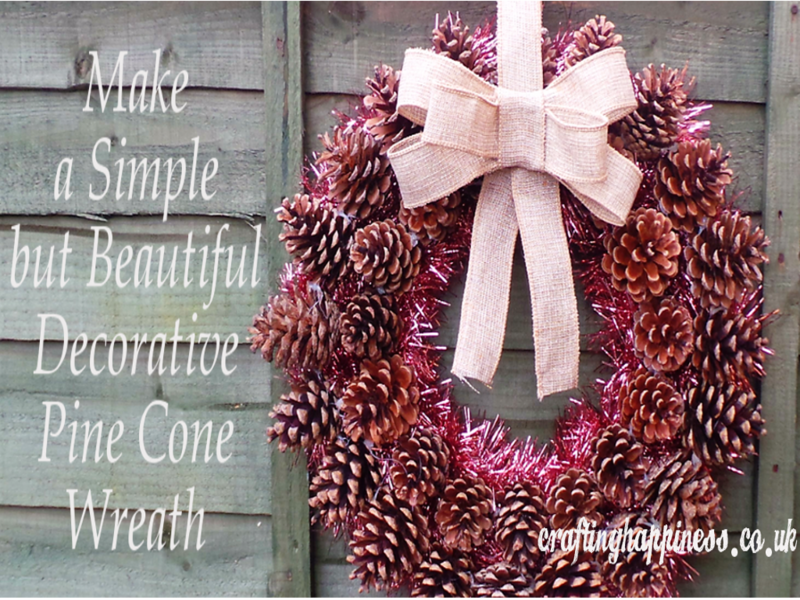 And there it is, a simple, easy to make, beautiful Christmas wreath that you can make on an afternoon with a very small budget.